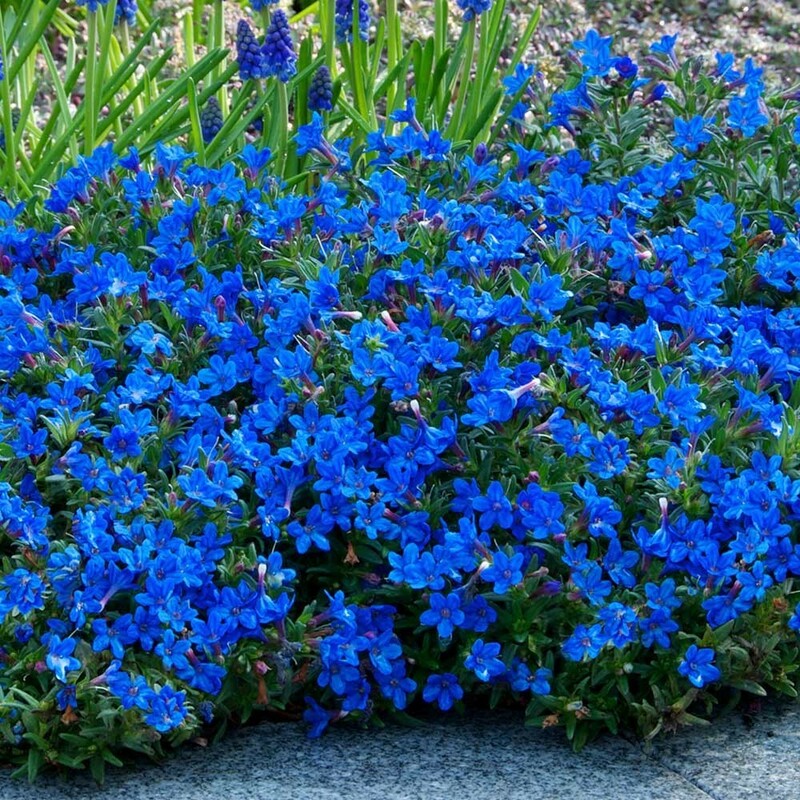 This Lithodora is an evergreen carpeting perennial that produces bright royal blue, star shaped flowers over a long period. These pretty bloom smother the mats of evergreen foliage from late spring in to summer. With such a long flowering period, Lithodora 'Heavenly Blue' gives a superb performance as ground cover in rockeries, troughs or at the edge of borders. This hardy, low growing plant is very easy to grow and a place should be found for it in all gardens. Supplied in approx 1-2 litre containers.